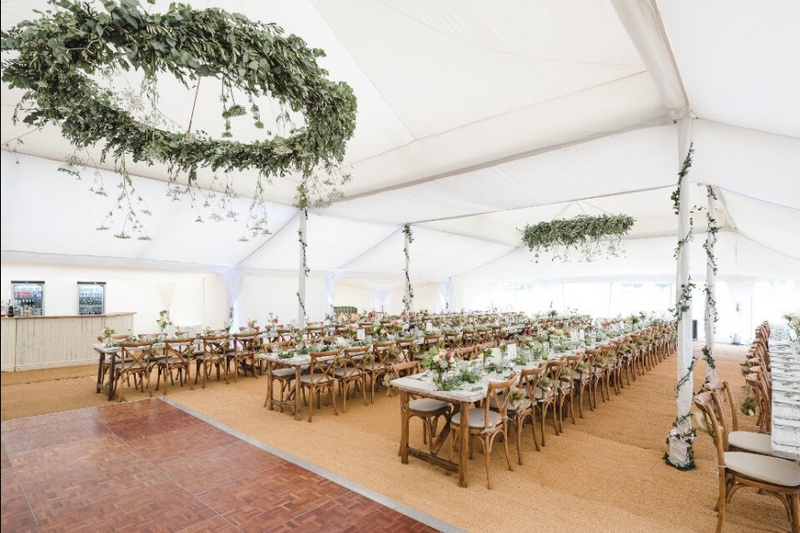 This double-peaked traditional tent has the same 12m internal width as the Lulu Pearl but a larger 21m length with two vaulted peaks in the ceiling. 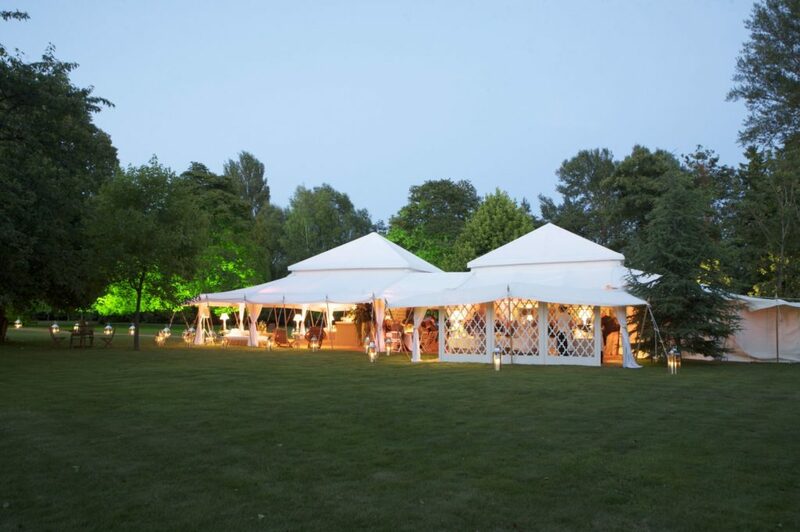 These beautiful, stylish marquees are as stunning inside as they are outside and have the charm of a traditional wedding marquee but with additional height provided by the luxurious vaulted ceiling creating the ultimate light and airy atmosphere desired for weddings and corporate events. The Dana Pearl tent is a Moghul marquee design with a modular frame that can utilise extension areas that can be attached along the side of the structure to add rooms around it’s perimeter, and the addition of verandas along the width and the length for additional sitting and standing space often used as after-dinner lounge seating. 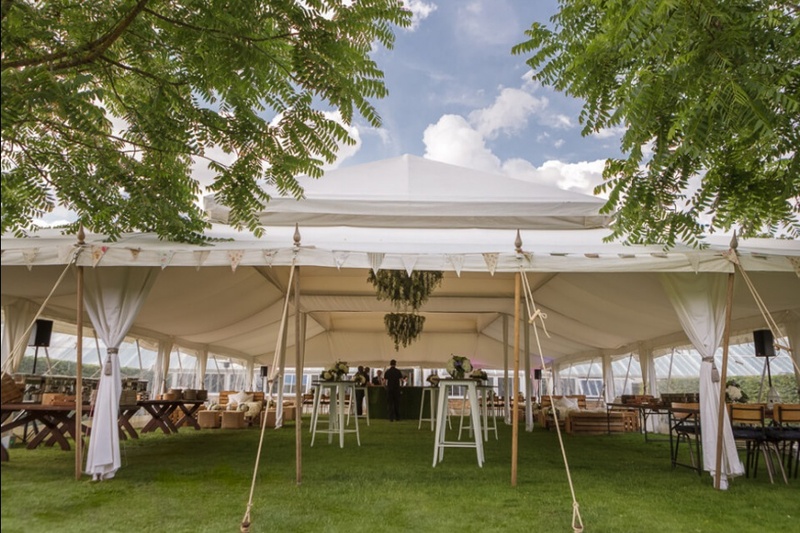 The Dana Pearl is often used for wedding receptions of around 150 guests, business dinners and as a corporate tent where the hosts look for a structure that creates an instantly elegant impression. 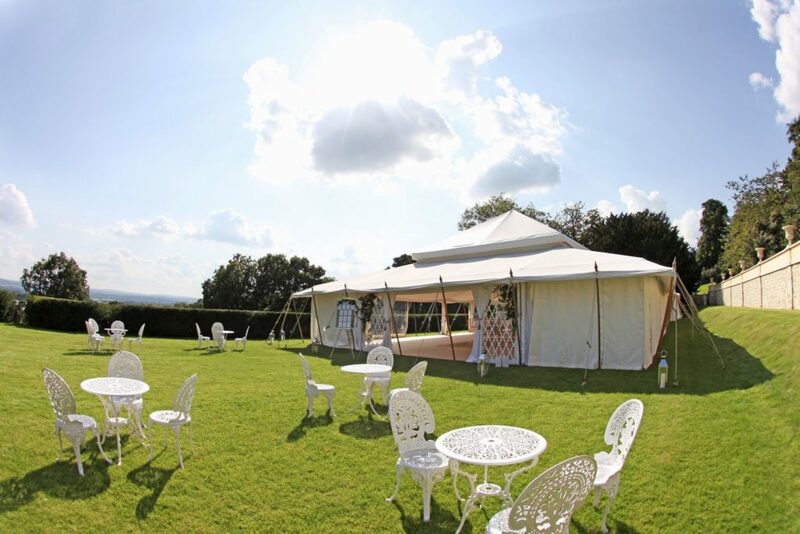 This structure is made in the same way as a traditional tent with each component made using the highest quality materials, and adheres to strict British safety standards and can withstand bad weather and winds of up to 50mph. The Dana Pearl tent is both waterproof and fire-proof. Measuring 12m x 21m, it requires 16m x 26m of free space to be able to erect it, and if Ampio extensions are required, extra space will be needed to accommodate these (6m x 8m) – perfect for incorporating a stage/band, extra tables, entrance/cloakroom, bar, lounge or chill-out area, and many other applications such as guest-book video signing room. Or if a Picco extension measuring either 12m x 3m or 21m x 3m is required another two metres around are required to secure the guide ropes. The Dana Pearl has a standing capacity of 200 people for an informal cocktail party, and when guests are dining the total capacity is 240 people or 160 with space for a dance floor and stage. Adding Ampio and Picco extensions to the side can increase this capacity to 220 people. A full height curtain reveal can also be added to partition dining and dance areas. 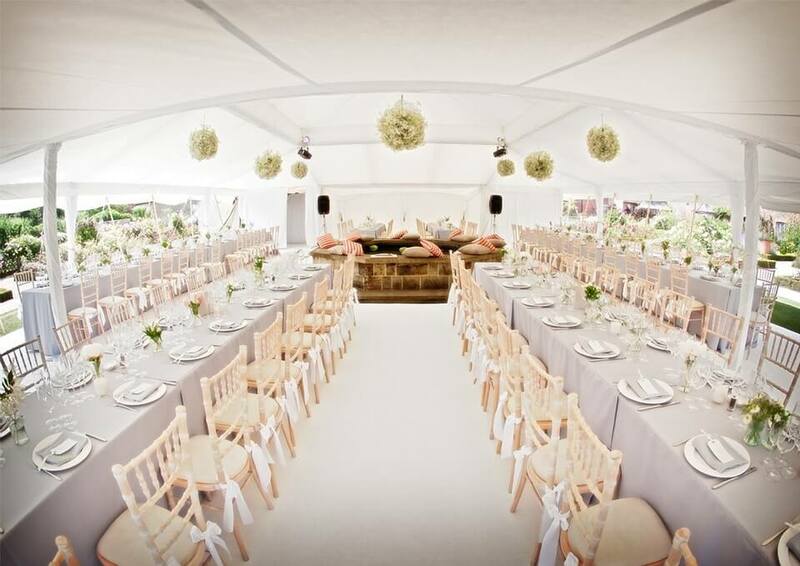 This luxury, traditional, white canvas tent has a stylish veranda around it’s perimeter which create an ‘inside-outside’ and makes it ideal for venues with a view. Build-time required for this structure is three days and when calculating the space, it requires an additional 4m of external room to take into consideration the canvas veranda, guide ropes and stake line.